Why Choose a Sole Proprietorship in Forming a Business? A sole proprietorships is a business that is owned and operated by a single person. Most businesses start out as sole proprietorships, as explained by the Small Business Notes website. The reason for this is because a sole proprietorship is the least expensive and easiest type of business to start and operate. A big reason business owners may choose to operate as a sole proprietorship is the level of control that sole proprietors have over the business, as explained by the Citizen Media Law Project website. Owners of a sole proprietor have control over every aspect of the business, from the company's finances to marketing decisions. Unlike other business structures, sole proprietors do not have partners or board members to help make important business decisions. This means a sole proprietor can react quickly to market trends and other business conditions, since other owners or partners are not involved in the decision-making process. The low cost of forming a sole proprietorship is another reason why business owners choose to operate as a sole proprietor. Sole proprietorships begin automatically when one person decides to start a business. Sole proprietors are not required to file formation documents with the state or local government to begin the company. This allows sole proprietors to avoid filing fees that are imposed on corporations and limited liability companies. For example, it costs a business $500 to file articles of incorporation with the Illinois secretary of state, whereas an Illinois sole proprietor does not have to pay a filing fee to start the business. There are a number of benefits that business owners gain by forming a sole proprietorship. Sole proprietorships are not required to file taxes as a business with the Internal Revenue Service. Instead, sole proprietors are allowed to pass the company's profits and losses directly to their personal income tax return. This allows sole proprietors to use business losses to offset income gained from other sources on their personal income tax return, as explained by the Reference For Business website. Another benefit of operating a sole proprietorship is that there are no other partners or owners to share profits with. This privilege allows a sole proprietor to allocate profits from the company in any way. What Is the Importance of a Sole Trader? Sole proprietors may choose this business structure because it is easy to dissolve, according to the Small Business Notes website. Unlike corporations and limited liability companies, sole proprietors are not required to file dissolution documents with the state in order to dissolve the company. Furthermore, sole proprietors are not required to pay fees to file dissolution documents with the state. Though sole proprietorships only have a single business owner, staff may be hired to help the sole proprietor handle the company's day-to-day affairs. This allows a sole proprietor to focus on other important issues like increasing company profits. Sole proprietorships are not required to have a set management structure, which allows sole proprietors to operate the company in an informal manner. 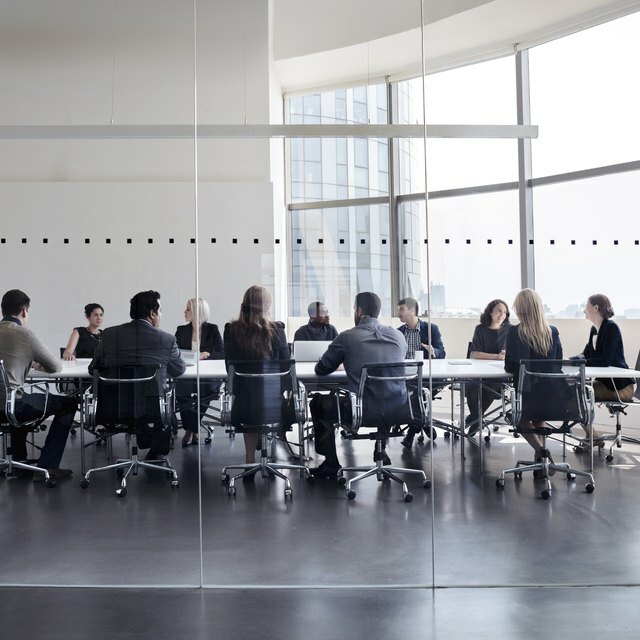 In addition, sole proprietors are not required to hold company meetings, record minutes from company meetings or create financial statements. Sole proprietors are not required to separate the owner's personal assets from the business assets. Assets from a sole proprietorship can be taken by the sole proprietor to cover personal obligations at the sole proprietor's discretion.